With a stay at Martin's Brugge, you'll be centrally located in Bruges, steps from Bruges Belfry (Belfort) and Brewery Bourgogne des Flandres. 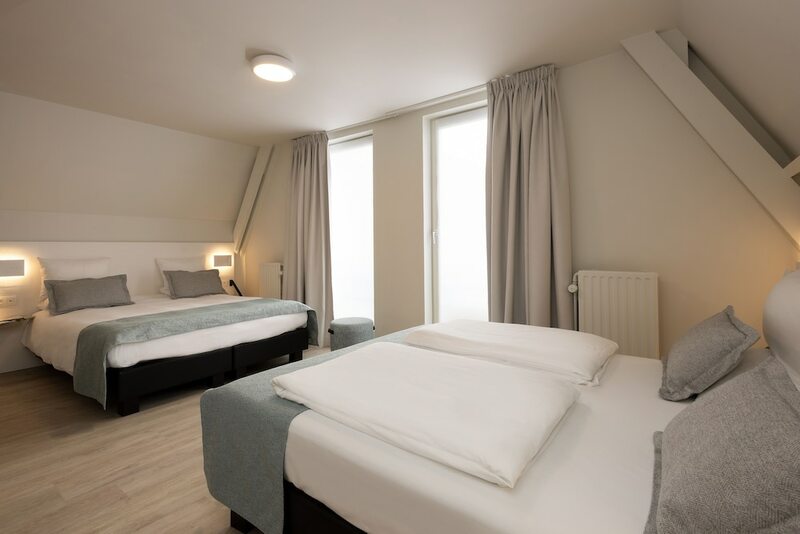 This hotel is 0.7 mi (1.1 km) from Bruges Town Hall (Stadhuis) and 0.7 mi (1.1 km) from Holy Blood Basilica Chapel. Make yourself at home in one of the 199 air-conditioned rooms featuring flat-screen televisions. Complimentary wireless Internet access keeps you connected, and satellite programming is available for your entertainment. Private bathrooms have complimentary toiletries and hair dryers. Conveniences include phones, as well as safes and desks. Take in the views from a terrace and a garden and make use of amenities such as complimentary wireless Internet access. Additional features at this hotel include a fireplace in the lobby and tour/ticket assistance. Quench your thirst with your favorite drink at the bar/lounge. Continental breakfasts are served on weekends from 8:00 AM to 11:00 AM for a fee.